Ethno-nationalism on the march. Next stop Europe? The referendums of Lombardia-Veneto in Italy and moreover Catalonia in Spain (with voices of new referendums in the UK), on the wave of the referendum in Iraqi Kurdistan, show that nation states are in a transition phase in Europe. The nation state, born four hundreds years ago and reinforced through the centuries, traditionally based on a very centralized state and an homogeneous nation, is changing skin, being eroded from above and from below. And the citizens of these nation states, at least in the so called “West” part of the world, seems to want to change their national identity skin, and in the process trying to rewrite the social contract with a new self-determination wave. The European cases are different obviously from Kurdish one, as in Europe there are democracies, there has been no decolonization or genocide attempt against these minorities and autonomies are already strong, both in federated states like Germany, Austria, Switzerland, or Belgium, but even in non-federations such as Spain, United Kingdom, or Italy (with regional assemblies for special regions) that can be defined as “asymmetric federalism.” But new nationalism, based on ethnicity as in the Catalan case, are on the rise as reaction to globalization, migrations and new identities, and politicians are using that narrative together with populist attitudes to capitalize political power. But changing borders is not a game and can end up with fatal consequences. The are several separatist movements in Europe and beyond. If all of them seek independence that would create a big mess in world politics in terms of humanitarian consequences and economic costs. An independent Catalonia for example could shake the foundations of the European Union. Should Sicily and Lombardia seek independence after that? If we witness an increasing of ethno-nationalist wave, we will have serious problems in the European integration, even if we will not go back to the Europe of fifteenth century. The self-determination is the right of the people to determine their own political status without external interference but is becoming more and more a complex and delicate issue. Self-determination is mentioned only two times in the United Nations charter, in the context of developing “friendly relations among states” and “equal rights.” Even if during the 1960s it was interpreted as the right of colonies to become independent, distinct ethnic groups within colonies did not have a right to separate. Since the 1990s—under international law—this right is tangled with human rights and democratic norms. And today it is not free from political manipulation, with interests that go beyond the “autonomization” of nations, ethnic groups or cultures, as we saw with recent referenda. Many compare the case of Kosovo with Catalonia. Kosovo is the newest European state to have gained independence, but the country did not just decide to secede for no reason. Independence was essential for the survival of its people who were being ethnically cleansed, persecuted, and tortured for decades. Kosovo and Kurdistan are much more comparable cases, even if Kosovo is a sui generis case: the only time when the West initiated a military humanitarian intervention to prevent another Srebrenica. This is not to say that Catalans or Venetians do not deserve more autonomy or even independence in the future. The argument though is that the world is evolving and so is the understanding of self-determination. Nation states are not eternal. But monoethnic nation states are not the solution. Few countries in the world are ethnically homogenous and will be less and less in the future. Pluralistic nation states, with federations, autonomies, decentralization, and even cities included in the participation to the national “public affairs”, the Res-publica, are more successful, democratic, and stable. Independence and secession should be the extrema ratio for self-determination of the people. The normal process should be the negotiations, the eternal “market of points of view” that would allow to respond to the needs of all parts in a consensual decision making. Real democracy, substantive, meaningful and liberal democracy means power “from by and to” the people, and so inclusiveness of all parts of society. Level of inclusion, through “autonomization” of regions that feel repressed and people that feel not recognized should be the criteria to measure democracies. This for both authoctonous and new minorities. Immigrants arriving to a new country should be granted if not citizenship at least the status of refugee, and their children given the jus solis principle of citizenship based on birth. But we need to take care of political strumentalization in the process. Referendum can be a great instrument of democracy (like the ones asking on civil rights) but also a great instrument of manipulation. We have seen them used as power tool in many countries, from Venezuela to Ukraine, from Turkey to Europe today. Constitutions are still the main social contract that state must abide to. If new sensibilities and social change require to change Constitutions that must be done with negotiations. The world, and states in particular that don’t represent their diversity, because of their history of conquer, nationalist institutions and politics of repression, from Middle East to Africa to Europe, are in great distress. But we need to take care that this process doesn’t become a tragedy for the people, manipulated by political forces. The real solution is dialogue. Spanish and Catalan representatives, as well as Italians and Venetians or British and Scottish, should negotiate and reach a compromise, probably a federalized state structure, for the satisfactions of all the parts and the continuation of the important European integration that is under stress from above and from below. 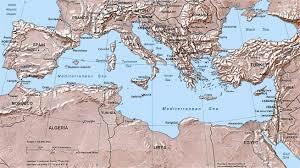 Again the Mediterranean: Greek democracy and ISIS terrorism will change the 21st century of Europe and farther? “Events my dear boy, events”. This is what Harold Macmillan, the British Prime Minister, had said when was asked by a journalist what is most likely to blow governments off course. Events are what they are: events. But the context, the path that lead to them and the reactions that follow, make them fundamental shocks that impact the future of our lives, sometimes not only in the countries where they happen (like 9/11) or just random facts. Last ten days there have been two events that could have an impact much further than their short time and space range: the Greek referendum and the Tunisian attack. Let’s try to put them in perspective. Many things have been said before the Greek referendum on the new proposal to “save” Greece, made by the ECB AND the IMF (even if many times we forget about it, the IMF is deciding on the future of European countries as much as the European Central Bank). There have been many attempts to jeopardize the referendum, trying to politically kill the Syriza party, after its “dangerous” victory in the last elections, as well as the democratic renaissance of a small country of few millions of people who invented democracy more than two millennia ago. Even not so much veiled threats and blackmails, like the one by Ms Merkel, the European substantial leader, who said “if the Euro falls Europe falls” (ironically she was not so wrong as the European Union until now has been a monetary union but the end of that could represent its renaissance). Besides all that has been said the population of Greece demonstrated that even in mature democracies in crisis, like the European ones, we can give back power to the people, to empower the citizens, who has the right to decide on their future, instead of a bunch of technocrats and bankers, representing private interests of few European and world groups. Greece used the referendum as the tool to give back to people the sovereignty, a tool that, even on difficult things, should be used more as a democratic element in modern representative democracies in crisis of legitimacy. And it is not a case that Greece give us the example: we have to go always back to the original inventors if we want to retake that invention and give it vital lymph again. As Italians did for the Renaissance, going back to the Roman classics, also to remake the European integration and improve our poor modern democracies, we have to go back to the Greek classics. Greece demonstrated that the people can decide on their future, and not only on general things but also on technical decisions. Today everyone can get information through internet, and this give more power to the people who can express themselves on different things (like the referendum text, that gave the exact names of the documents so all who wanted could go to read them). And the referendum showed also another important element for the future of Europe and in general the international system: nation sovereignty is still the principal form of modern societies, and the integration of nation states needs to pass from the people, not from the technocrats, from the nations not from the banks, from the ideas not from the money. This is the Europe that we want today, not a fake supranational entity but a real confederation of states, made by all the national entity that compose it. But in the Greek case there is even more than this, there is a fight between the old style welfare state, the third way between total capitalism and total communism that Europe had conquered with difficulties, and the modern capitalism. As Žižek masterly explained in its recent article (1) the real question today in Europe is the fact that global capitalism cannot afford a return to the old welfare state. And Syriza is a danger for this. A danger or a salvation, if we follow Varoufakis programmatic declaration: “If this means that it is we, the suitably erratic Marxists, who must try to save European capitalism from itself, so be it”. Future will say but for now we can celebrate as democracy and people’s voice are back to Europe, and they came back to remain. Besides the Greek case there has been another event in the last few days in the Mediterranean that could represent another shift in the future of Europe and the Mediterranean (including the Middle East/ME): last attack at the Tunisia resort of Sousse ten days ago could represent the lethal hit to the Tunisian democracy. Unfortunately more terrorist attacks will follow probably, as there is a type of “state” now that finance these acts of “political-identitarian” mass killings, and this state is not Iran, the big devil, who the West accuses often to support terrorism (while in reality it supports self-determination and anti-discrimination Shia movements, that have been repressed for long time, in particular by the Sunni monarchies). There is a state now, the Islamic (or we should say Islamist) State that will not see its end soon, on the contrary it will probably expand more and sooner or later it will have to socialize with the other sovereign actors, nation states, of the region (unless some war will annihilate it, but this war is not on the horizon). Tunisia demonstrated again that even if the current international terrorism wants to destroy its experiment with democracy (that is quite dangerous for both the Islamists and the world powers, as it is not following the diktats of the international capitalism, including banks, international markets and finance, exactly like Greece) the right path is the path of the government “of the people, by the people and for the people”. That is why Tunisian democracy will not die, because it is coming from the people and it goes back to them, even if the ISIS, and probably many other regional or global powers, wants it to fail. The probable escalation of future ISIS attacks will have strong consequences for Europe and the ME like 9-11 had, both internationally and internally, for the US. Specifically the ISIS violent escalation, could have three main consequences during the first half of this century, in Europe, the ME and also inside Islam. Europe evidently will have to deal with it not only military, but culturally, socially and economically, engaging with the south coast of the Mediterranean that after the events of the Arab Spring and Western wars (direct of proxy) ended the post-Ottoman order of the region. Europe in particular will have to decide if it wants to remain a fortress with lack of visionary politics of integration (substituted by a superficial multilateralism that make society ghettoized and open to the problems of radicalization of conflicts) or to improve its process of integration, in particular for the thousands of refugees that are knocking at its doors. Will Europe close or open itself to the world? If it doesn’t want to end in the arms of a never ending Cold War with Russia, Europe has to embrace Africa, as Mahbubani says (2), rediscovering its Mediterranean identity and making of it a real “Sea between lands” (from the Latin Mediterraneus) passing from fortress to square, and becoming a real democratic space that lives up to its values of diversity and tolerance creating a new experiment of melting pot, with equal possibilities for all, on the US style. The ME will have to solve its problems of poverty and backwardness respect to the rest of the world, and this unfortunately will not come without more conflicts and suffering. Not that the ME didn’t suffer until now, with colonialism, occupations and dictatorships sustained by the West, but this century could be even worst. Hopefully will be the last one of great suffering, as it has been the 20th century for Europe. There will not be another world war for the ME, as the world is too big, too interdependent and too dangerous today to be involved in a total war, but to avoid regional wars, we will need to create among the regional powers, in primis Turkey, Iran, Egypt and Saudi Arabia, that order ended in the last few years. And the democratization will arrive to the ME too, facilitating hopefully the creation of a regional unity, a sort of confederation similar to the one that Europe started to build after the WWII (even if is still trying to complete it today). In particular if the West will leave the ME to work on itself without much interference. Finally Islam will have to reform, like Christianity did, following its own path but doing it in order to integrate itself in the modern world, where globalization doesn’t allow intolerances or lack of fundamental human rights for the future “planetary citizens”. We will not see all of this but that’s why we have to help to build it.